Natural wonders, ample activities and stunning scenery make Lacey, Washington, a dream come true for adventure lovers. Nestled in the shadow of Mt. Rainier at the southern tip of Puget Sound, Lacey is not only a beautiful place to visit—it’s a fantastic place to live! Hiking, biking and much more await in Lacey. Explore the 3,700-acre Nisqually National Wildlife Refuge, which offers sparkling lakes, lush forests and virtually endless opportunities for outdoor experiences. The city also encompasses five freshwater lakes including Long Lake Park, where you can picnic, swim, kayak and more. 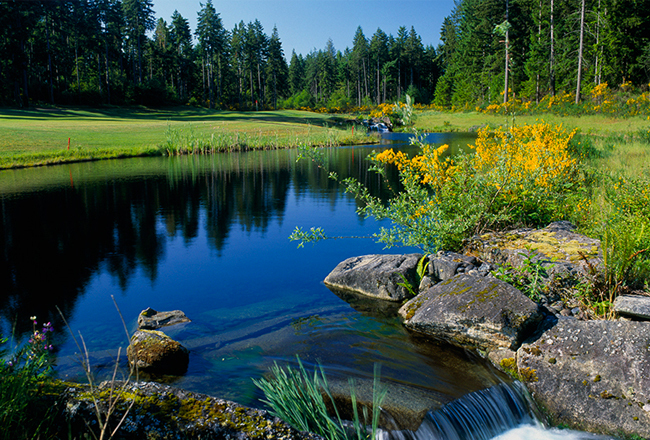 You can find fun of all types in Lacey, WA, including championship golf courses and the stellar Lacey-Thurston County Regional Athletic Complex, featuring regulation-size soccer, football, baseball and rugby fields, as well as playgrounds, outdoor event facilities and two miles of walking trails. Lacey’s Parks and Recreation Department offers an exciting selection of programs, from whale-watching and snowshoeing to cooking and photography classes. With a diverse range of attractions including local wineries, restaurants and unique shops like Shipwreck Beads, which boasts the world’s largest selection of beads, Lacey offers something for just about everyone. Lacey, WA’s event calendar will keep you entertained through all four seasons. Enjoy outdoor concerts and movies in the park during summer, and take advantage of frequent festivals—celebrating everything from BBQ to Dixieland jazz!—during the rest of the year. Approx. 2,000 to 2,500sq. ft.
Approx. 2,000 to 2,500 sq. ft.